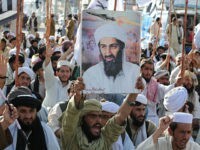 Osama bin Laden is long dead, but his plans live on through American foreign policy. In 2001, al Qaeda consisted of only 400 ideologues in the far corners of the world. 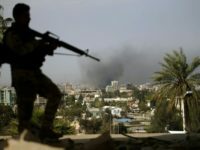 After the recent regime change wars in Iraq, Yemen, Libya and Syria, typical estimates place their membership at around 20,000. To top it all off, the American economy is out $5.6 trillion dollars for the whole failed project. This is not the legacy of a war to spread, or even protect, liberty and prosperity. Instead it is the legacy of an evil but gifted tactician, al Qaeda leader Osama bin Laden. 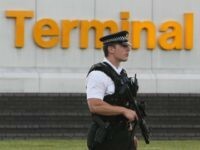 The UK’s security minister has warned that a resurgent al Qaeda is seeking to carrying out fresh terror attacks on airplanes, using drone technology and jihadist sleeper agents working at airports. Muslims should wage jihad against the U.S. as a response to America’s decision to move its Israel embassy from Tel Aviv to the capital Jerusalem, Al-Qaeda leader Ayman al-Zawahiri said on Sunday. Al-Qaeda leader Ayman al Zawahiri, in a newly disseminated video, urges the group’s jihadi followers to “unite in confronting” the top enemy of all Muslims across the world, the United States and its “blatant crusader,” President Donald Trump. 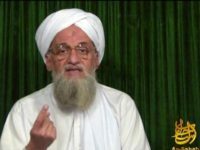 Al-Qaeda chief Ayman al-Zawahiri is urging fellow jihadists to back his Taliban allies and reject his Islamic State (ISIS/ISIL) rivals in Afghanistan. Hamza bin Laden, the son of the late al Qaeda leader, has urged young Saudis in a new audio message to train with al Qaeda in the Arabian Peninsula (AQAP) to “gain the necessary experience” to overthrow Saudi Arabia’s kingdom, a U.S. ally, according to the SITE Intelligence Group, which tracks jihadi activity online. The Nusra Front, formally known as Jabhat al-Nusra, has been al-Qaeda’s franchise in Syria since late 2011. 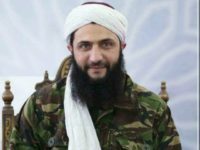 The Syrian group’s leader has announced it will now cut its ties with al-Qaeda and become independent, with al-Qaeda’s blessing. 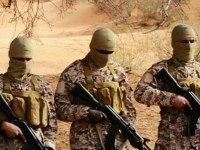 Nusra Front, the Syrian affiliate of Al Qaeda, has decided to go independent, the Arabi21 website reported citing several source. The latest online audio recording from al-Qaeda leader Ayman al-Zawahiri encourages jihadis to take Westerners hostage so they can be used in prisoner exchanges. 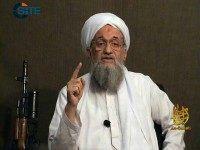 Al-Qaeda leader Ayman al-Zawahiri has released a video message warning the United States that it will face the “gravest consequences” if Boston Marathon bomber Dzhokhar Tsarnaev is executed. 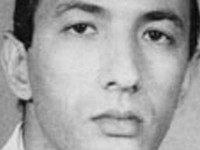 Tsarnaev, 21, was sentenced to death by lethal injection last year. 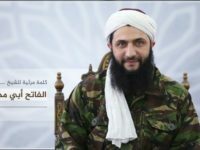 Al-Qaeda may be training one of Osama bin Laden’s young sons for a leadership position within the jihadist organization, according to a newly surfaced video that features his voice. TEL AVIV – An al-Qaeda affiliate in the Gaza Strip has claimed responsibility for Friday’s rocket attack on Israel. 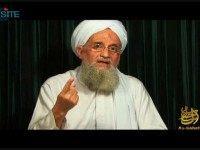 Al Qaeda’s leader, Ayman al-Zawahiri, released a new audio recording on Sunday, in which he called for an Islamist alliance against Russia and the West, and said his organization was ready to work with its previously despised offshoot ISIS against those common foes. 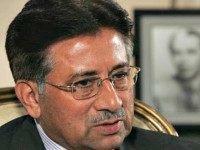 Pervez Musharraf, a retired four-star general and former president of Pakistan, said that terrorists such as Osama bin Laden, current al Qaeda leader Ayman al Zawahiri, jihadist group founder Jalaluddin Haqqani, and the Taliban were once heroes for Pakistan. Sky News reported last week that Iran has released five senior al-Qaeda operatives, including several possible successors to Ayman al-Zawahiri as head of the organization, in exchange for an Iranian diplomat who was kidnapped in Yemen earlier this year. 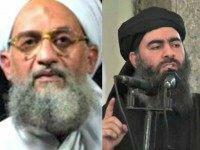 Ayman al-Zawahiri, who took over as leader of al-Qaeda after the liquidation of Osama bin Laden, has released an audio message accusing ISIS leader and self-proclaimed “caliph” Abu Bakr al-Baghdadi of “sedition” and declaring war against the Islamic State. The Islamic State (ISIS/ISIL) is vanquishing Al Qaeda in the fight for the hearts and minds of jihadists, reports Foreign Policy (FP). 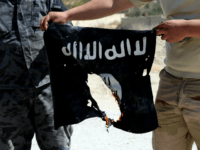 The Islamic State (ISIS/ISIL/IS) is disseminating “Wanted Dead” posters for several key al-Qaeda commanders, including the group’s leader, Ayman al-Zawahiri, Arutz Sheva reported. 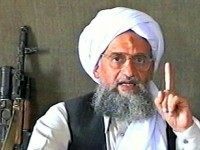 In a sign that there could be dangerous times ahead for Afghanistan and the entire surrounding region, al-Qaeda chief Ayman al Zawahiri pledged allegiance to the newly-appointed Taliban “emir,” Mullah Akhtar Mohammed Mansour, in an audio tape released Thursday by the jihadist group. 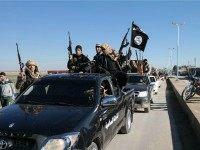 The Islamic State (ISIS/ISIL) has decimated al-Qaeda by taking its recruits and ripping it apart, reports The Guardian.